As a new patient at Just White Dental, you can rest easy knowing that your first consultation will be very straight-forward, requiring little to no additional work on your behalf. Upon arrival, you’ll be greeted warmly by our receptionist, before being asked to fill-in a new patient form that gives us a quick overview of your dental history. If you’re visiting our practice seeking a second opinion regarding dental treatment, please bring any related x-rays to further assist us. While you wait for your appointment, we encourage you to sit back, relax, and entertain yourself either through reading one of our magazines or by watching our Foxtel-equipped T.V. 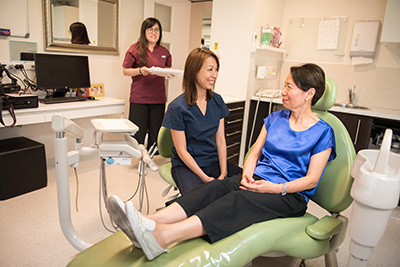 Your first appointment will take the form of a general check-up, where one of our friendly dentists will thoroughly examine your mouth before taking x-rays to gain a more in-depth look at your oral health. The dentist will then discuss any issues or concerns, before covering topics such as the priority of treatment, associated costs, and what you can expect in the future. 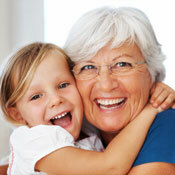 This discussion is then followed-up with a clean, helping to remove any plaque or surface stain build-up. If further treatment is needed, another appointment will then be scheduled for you. All up, you can expect your first appointment to take around 40 minutes, as the dentist likes to spend the majority of this time explaining your oral health to you and answering any questions you may have. 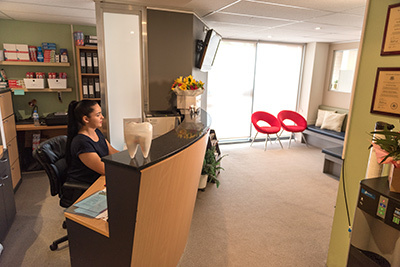 Our professional dental team pride themselves on being as thorough and honest with their patients as possible, gently guiding them through every aspect of their treatment. The Just White Dental team are experts in treating patients with dental anxiety, and they are regularly commended for their friendly, fun, and gentle approach to dentistry. 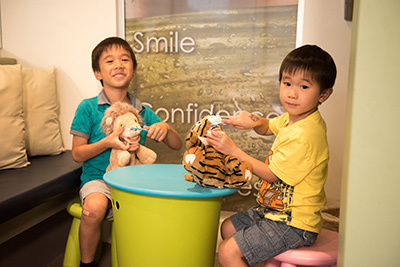 They understand that visiting the dentist isn’t always a pleasant experience for everyone, so go above and beyond to make their patients feel at ease. You’re encouraged to sit back and relax in the dental chair as you enjoy our above-head T.V. which helps to take your mind off any feelings of stress or anxiety. Our dentists also love to chat to you or share a funny joke, as they recognise the importance of being able to put their patients instantly at ease. We love welcoming new patients to Just White Dental and can provide you and your entire family with all of your dental treatment needs. Contact (02) 9807 8066 today to schedule your first consultation!